Top Arizona Republicans won't be attending Trump's first rally since Charlottesville tonight, VICE News reports. 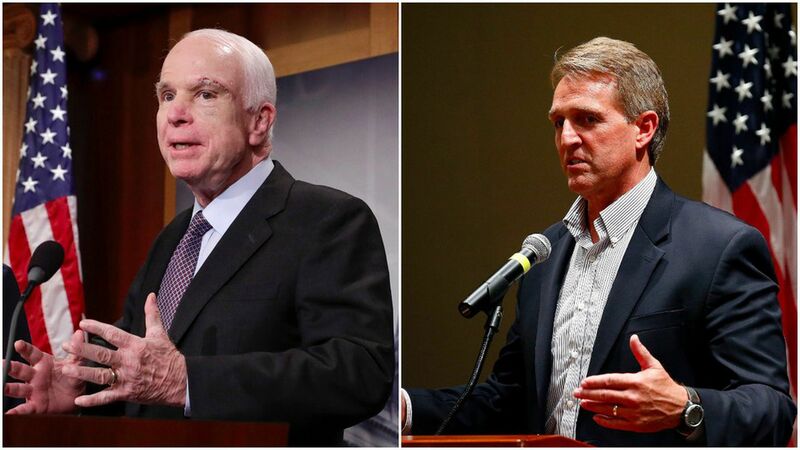 The expected absences: Arizona Governor Doug Ducey (though he greeted Trump upon his arrival), Arizona's state Republican party Chair Jonathan Lines, Sen. Jeff Flake, who's been one of Trump's most vocal critics recently, and Sen. John McCain. Arizona swung for Trump in the presidential election, so presumably Republicans would be there for him. But this comes at a time when Republicans aren't willing to back Trump in the fallout after Charlottesville. Brian Stelter reports Shep Smith couldn't get a single Republican to defend Trump on Fox News, MSNBC's Chuck Todd tried all 52 Republican senators, and none would come on the show, and CNN's Kate Bolduan said only one out of 55 Republicans said yes.